Nebraska Methodist College is using new technology to train students. 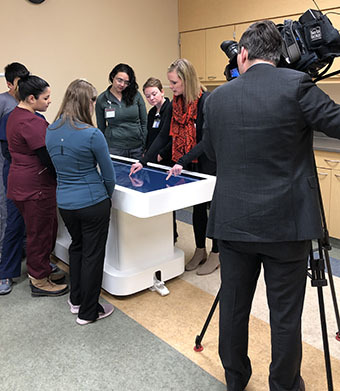 "As a health care field, this is really amazing," said Becca Bouckaert, director of the school's cardiovascular sonography program. It's called an Anatomage Table. It allows students to dissect one of four bodies that were donated to science and then used to create 3-D images.